The view from Mission Lane Bridge. 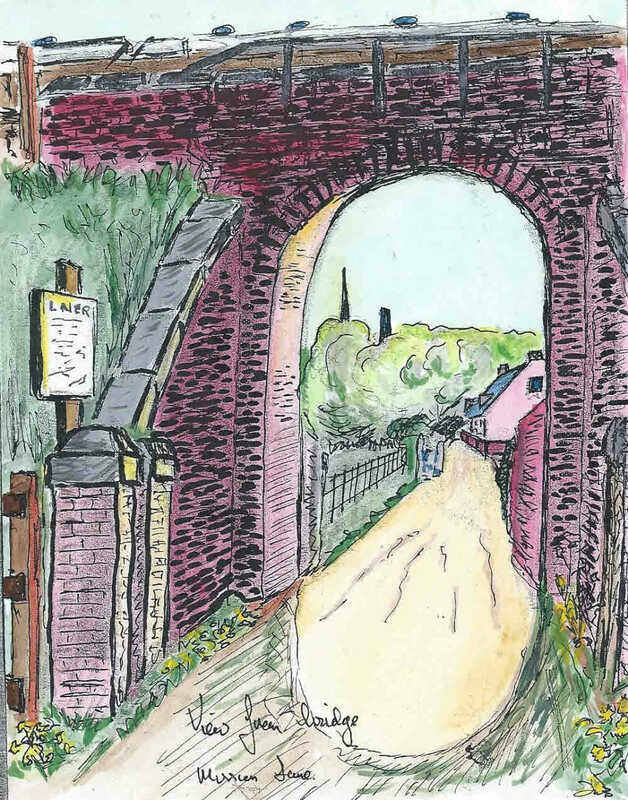 This sketch is a variation on an earlier one by Douglas showing a view looking westwards from Mission Lane bridge which bridged the lane that ran from Flushdyke to Ossett Common and was located at the rear of Spenstead Works. Holy Trinity Church spire can be seen in the distance.